Love the denim with the white scarf. Love the denim dress and those boots! This whole outfit is very chic! 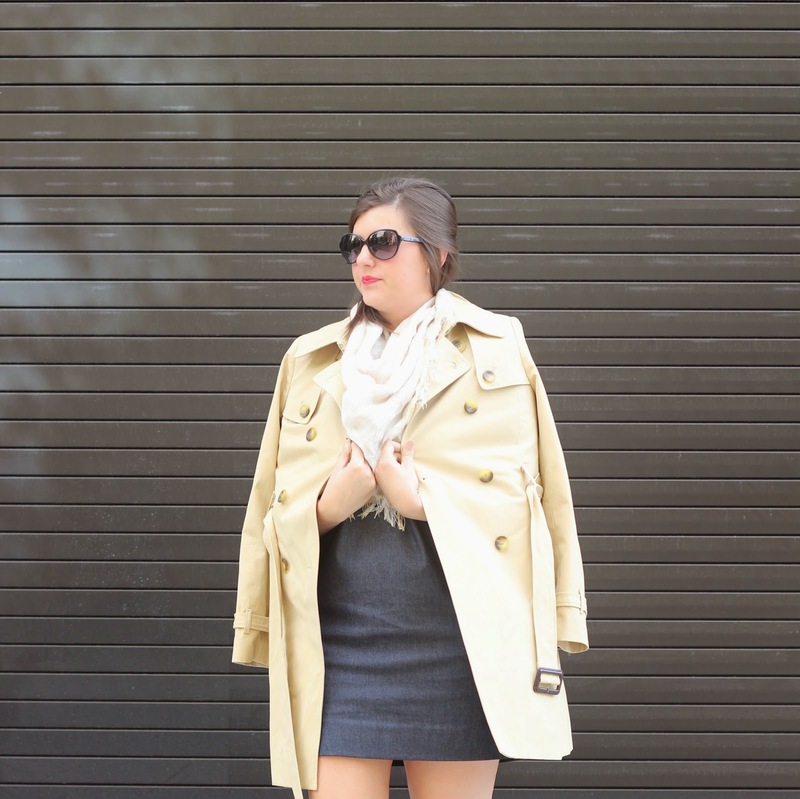 What a pretty trench coat! 🙂 Love the color! 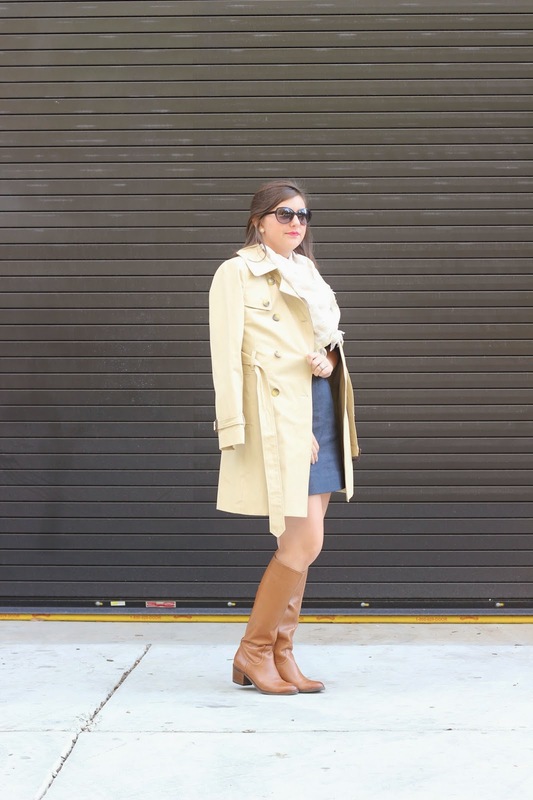 Love how you styled this dress with the boots and trench. Denim in any form is always a good decision. Thanks for stopping by! Love your dress and how you styled it!! love that scarf! such a chic and cute outfit! Great outfit! I hope you will viist my blog!